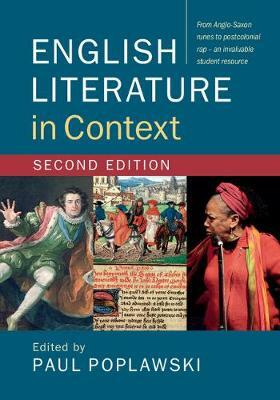 This is the second edition of English Literature in Context, a popular textbook which provides an essential resource and reference tool for all English literature students. Designed to accompany students throughout their degree course, it offers a detailed narrative survey of the diverse historical and cultural contexts that have shaped the development of English literature, from the Anglo-Saxon period to the present day. Carefully structured for undergraduate use, the eight chronological chapters are written by a team of expert contributors who are also highly experienced teachers. Each chapter includes a detailed chronology, contextual readings of selected literary texts, annotated suggestions for further reading, a rich range of illustrations and textboxes, and thorough historical and literary overviews. This second edition has been comprehensively revised, with a new chapter on postcolonial literature, a substantially expanded chapter on contemporary literature, and the addition of over two hundred new critical references. Online resources include textboxes, chapter samples, study questions, and chronologies.